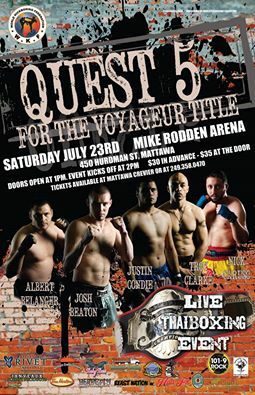 On Saturday July 23, 2016, Action’s School of Fitness & Arts host QUEST 5 – FOR THE VOYAGEUR TITLE in Mattawa! You do not want to miss this! !